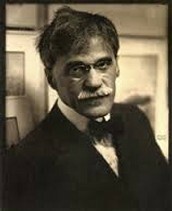 Alfred Stieglitz was born on January 1, 1864 in Hoboken, New Jersey. His parents were Jewish immigrants from Germany, but in 1881 Alfred, his parents, and his six younger siblings moved back to Berlin in order for him to get a more challenging education that America could not provide. In Berlin he studied as a mechanical engineer and also took a class in photo-chemistry. At first he was interested in it for the science but then started to appreciate the art in it. 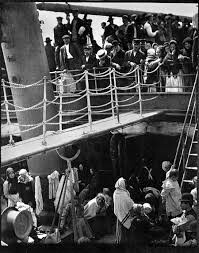 When he came back to america he he went to the school of pictorial photography. Besides being a photographer, he also was a publisher, editor, art dealer, and an exhibit organizer. Alfred was very much in favor of change and modernism and wanted people who were being criticized for being modern to stand up and be accepted. He led the pictorialist movement and created the photo-secession in 1902 which was photographers trying to get photography recognized as an actual art. He also founded Camera work in 1903 and three different galleries for all kinds of artists. The first in 1905 was the Little Galleries of Photo-Secession but ended up being called 291 and closed in 1917. The last of his galleries was called An American Pie which he maintained until he died on July 13, 1946. He married Georgia O'Keeffe and often held her paintings in his galleries. 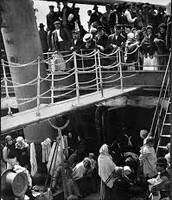 What inspired Alfred to take the Steerage picture? What was so important about taking the picture at exactly that moment? This is one of Alfred's most famous pictures because while on a trip with his wife and daughter he caught an image that brought him out of his state where he didn't work on his own art. He was always so caught up in promoting other people that he had stopped taking his own pictures, but this brought him out of it. This photo is special because instead of using of perfectly placing this where they should be and planning, he just used the scenery and the smoke to take a pleasing, unplanned picture. The cloud Equivalent photos are abstract and different. They represent how Alfred felt and what he was thinking. He said they correspond with his own emotions. Alfred is very important because he basically single handedly made photography a medium in art and he started modern art. Instead of just having pictures for records, he made it possible to have them for enjoyment. He also introduced America to European art and started that trend.